ARE YOU LOSING TOO MUCH HAIR? WHAT COULD IT MEAN? Worried about the amount of hair coming out in the brush or the shower? Losing hair can be anxiety inducing, but never fear – it has a few common causes and solutions. Keep reading for advice on what your hair loss could mean, and how to fix it. For men, the most common cause of hair loss is male pattern baldness, especially as they age. 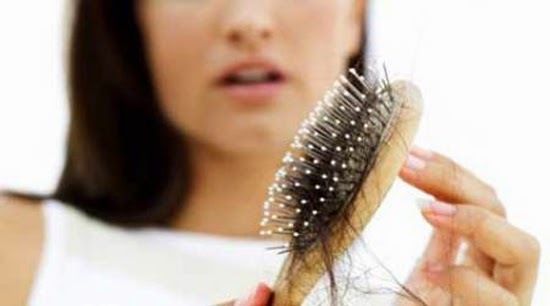 Though less frequent, women can also suffer from hereditary hair loss. If a genetic condition is causing hair loss, most likely your parents and other members of your family will have experienced it too. Losing you hair doesn’t have to be inevitable; there are solutions. If your hair loss is drastic, it’s worth visiting a hair restoration specialist like Transitions Hair as soon as possible to get the best quality treatment. Extreme stress can have a massive impact on your health, and therefore also on your hair. High levels of anxiety or activities that cause stress on the body, like crash dieting or illness, can lead to hair loss or thinning. It is important to see a doctor if you are losing too much hair, as it can be a sign of underlying health issues. Most often, a return to health will mean normal hair regrowth will also resume. For women, changes in hormones can be a common cause for hair loss. Sometimes a hormone imbalance or even menopause can be the reason why women start losing hair. A pregnancy or a recent hysterectomy can also cause an unusual amount of hair loss, or lead to thinning hair. Sometimes pregnancy can trigger genetic hair loss, but usually it is merely an effect of less oestrogen in the body at this time. Hair growth will return to normal a few months after giving birth. There can be dietary causes for hair loss, from having too much vitamin A to not enough protein or vitamin B. Many women suffer from anaemia due to an iron deficiency, which can lead to the temporarily loss of hair. A simple blood test can determine if this is the case, and taking an iron supplement usually resolves the problem. Hair loss can be a symptom of certain illnesses and in rare cases it can even be due to an autoimmune problem. Make sure you visit your doctor to rule out illness as a cause, and receive treatment if needed. In addition to being a symptom of illness, hair loss can also be a side effect to taking certain medications so it is important to inform your doctor of your experience. If you suffer from hair loss it could be due to many common and curable causes. There are products and treatments that can disguise loss and restore growth so there is no need to worry. Make sure to check with your doctor if you are concerned about excessive hair loss so that they can rule out any medical concerns.